Bups Saggu, the artist who brought you the smash hits Photo Rakh Ke featuring Miss Pooja, Matha Tekhiya featuring Lehmber Hussainpuri and the Kolaveri Di (Party Mix) featuring Jati Cheed is back with his first single, Punjabi Hurrr, from his follow up album Global. 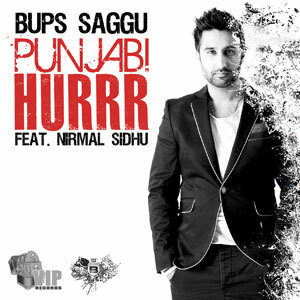 Punjabi Hurrr features Nirmal Sidhu on vocals and was written by Bups Saggu and Tari Banwalipuriya. The trailer and video for Punjabi Hurrr will be available shortly, so stay tuned! The track will be released on the 26th of April 2012 under VIP Records and will be available to purchase on iTunes and all trusted digital retail stores.